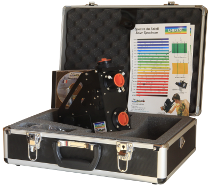 The Lhires III is THE standard High Resolution reference spectroscopy. 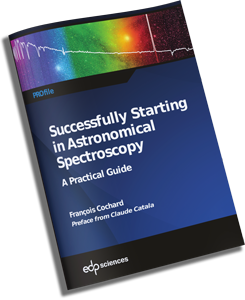 Gain access to the smallest details in the spectral lines profile and observe the stars’ activity. The Lhires III spectroscope is the “historical” instrument from Shelyak. 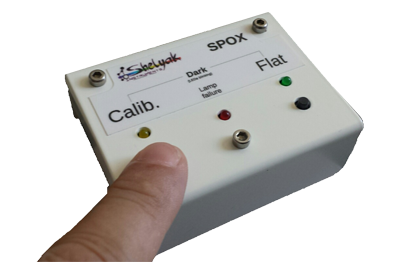 Designed right after the “Ecole d’Astrophysique” du CNRS (astrophysical school organized by the french national science organization) in 2003 for Be stars observation, it has since found numerous other applications. With a resolution power of R=17.000, it gives access to radial velocities by Doppler effect, as well as incredible details in the lines profile. 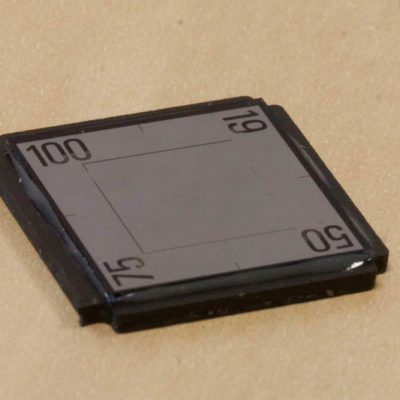 The covered spectral domain is quite limited (around 10nm, because of the high resolution). However, thanks to a micrometer you can choose which central wavelength to observe, within the visible domain (400-750nm). A lot of for educational project become feasible around the Doppler effect, like measuring the rotation of Jupiter or Saturn. 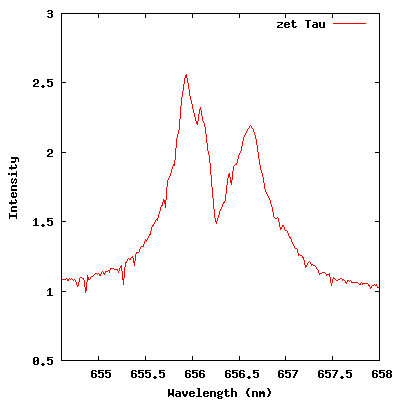 Example of a Jupiter spectrum, showing the planet’s rotation (solar lines are slanted). 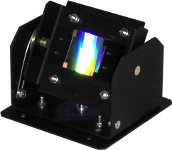 The F/10 aperture makes the Lhires III specially adapted to Schmidt-Cassegrain telescopes. 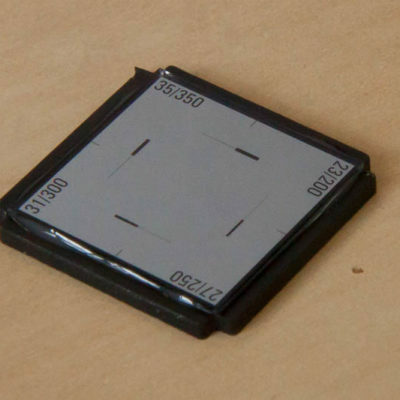 But it can be easily adapted to any type of telescope, even the fastest (by using a Barlow lens). 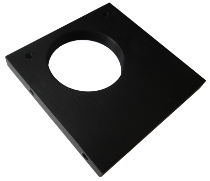 Thanks to its reflecting slit, the Lhires III allows to precisely point at a star and track it. 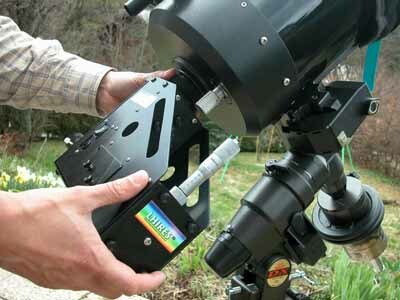 A guiding camera (not included) allows to control the telescope movements and ensures an optimal observation. 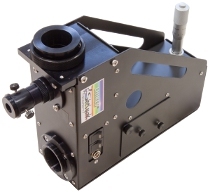 The interchangeable slit included as standard (15-19-23-35µm) allows to adapt the instrument to any observational situation. If needed, you can give priority to either resolution, or luminosity. 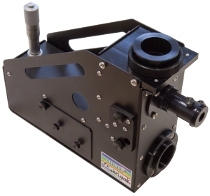 Other slits are also available (large slits, photometric slits), to extend the capabilities further. The Lhires III is shipped with an adapter for Schmidt-Cassegrain telescope. 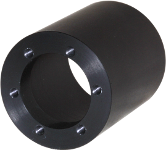 If needed, an optional 2″ nose piece is also available. 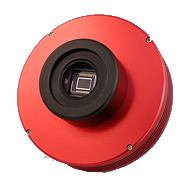 The standard CCD cameras adapter is compliant with Atik cameras (or any camera with a T-mount and 13mm backfocus). 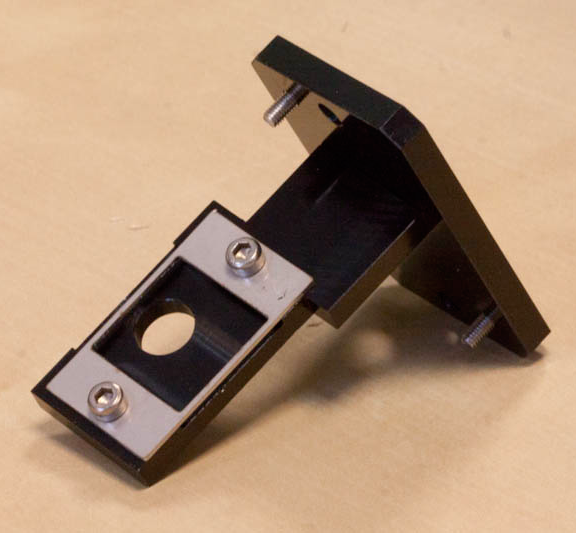 A lot of adapter rings are also available for most common cameras (see accessories). 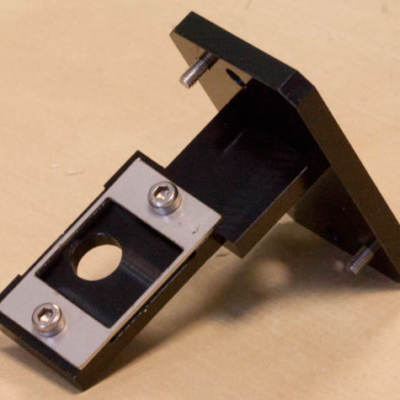 The guiding camera port is C-mount. 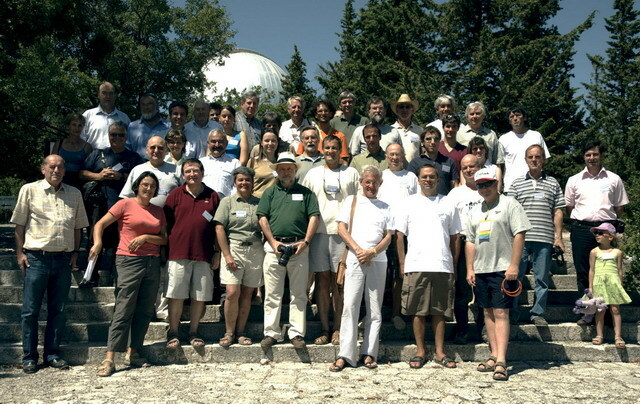 Beyond the knowledge the Lhires III can give you in astrophysics, it is also a scientific instrument for collaboration between amateurs and professionals: Be stars, variable stars tracking… a lot of publications are based on Lhires III observations. 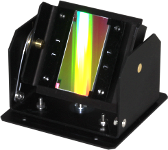 Reflective slit for precise guiding (4 position slit 15/19/23/35 µm). Shipped in a rigid case, including an eye-piece holder, and a tool set for tuning. Note : the user guide refers to the initial version of the Lhires III. Some parts of this document are now obsolete. Some Q&A about the Lhires III. Note : this upgrade is now included in any new Lhires III. 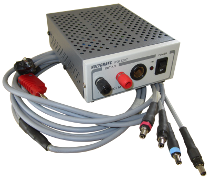 Notice de montage: Lhires III was originally distributed in kit. The assembling procedure can be useful for you to better understand how Lhires III works inside. Some schematics to help you integrate the Lhires III with you own equipment. One-page Solar spectrum done by Olivier Garde with his own Lhires.